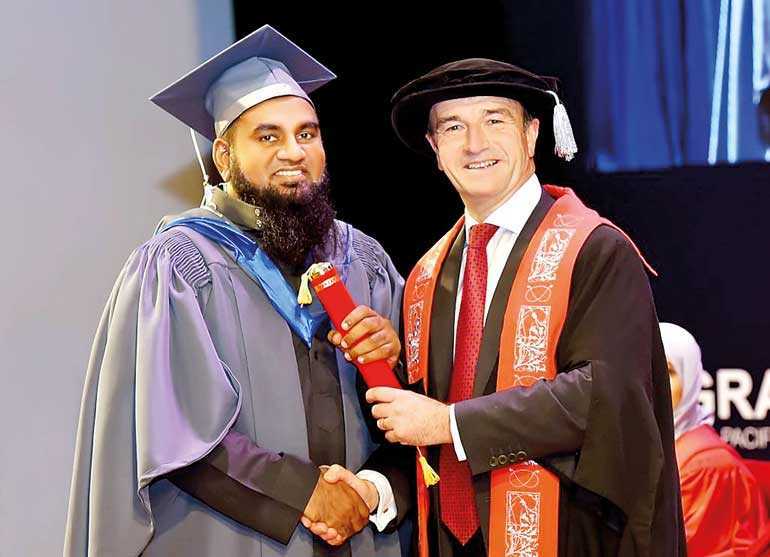 Muhammed Badurdeen Muhammed Nawaz is the first Sri Lankan to receive distinction in Master of Science (MSc) of Islamic Finance & Accounting from Staffordshire University, United Kingdom. The program was conducted by APIIT Sri Lanka, the local education partner of Staffordshire University; the program was conducted first time in Sri Lanka by a UK-based university. Nawaz is a Fellow of the International Association of Book keepers – FIAB (UK), Global Academy of Finance & Management – FGAFM (US), Certified Professional Managers – FCPM (Sri Lanka) also holds Master Financial Planner (MFP) & Accredited Financial Counsellor (AFC) certifications from the US based Global Academy of Finance & Management (GAFM). He has been an Islamic finance professional, lecturer and trainer for the last 15 years; and his experience in Islamic Finance is ranging from capital markets, Shari’ah compliant product development to Islamic insurance. In the past, Nawaz has worked at Emirates Aviation Group, Amana Takaful, Amana Global, IGL Lanka, Amana Asset Management, Amana Capital, and Amana Takaful Maldives. Nawaz has played important roles in structuring Shari’ah compliant products, Islamic Insurance (Takaful), and Shari’ah based fund mobilisation models for real estate, leasing, finance, manufacturing and service companies and other corporate clients with specialisation in Shari’ah audit of policies, processes and operations. Currently he serves as the Manager – Shari’ah Department Amana Takaful PLC Sri Lanka and as a visiting lecturer at First Global Academy. He also serves as Financial and Shariah Consultant at Ethical Business Consultants (India). He is a visiting lecturer for various universities in Sri Lanka and has conducted many workshops in Islamic banking and finance locally and internationally. He was an old boy of Hameed Al Husseinie National College and Alethea School.